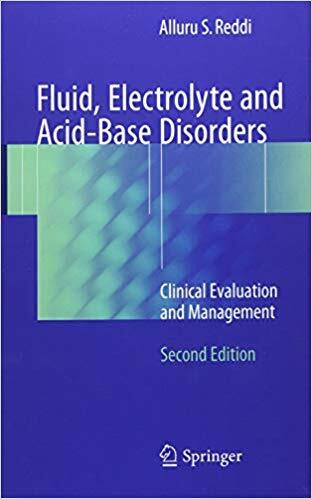 Expanded with six additional chapters and new study questions, this updated edition provides a clear and concise understanding of the fundamentals of fluid, electrolyte and acid-base disorders that are frequently encountered in clinical practice. Each chapter follows a standard format that begins with pertinent basic physiology followed by its clinical disorder. Cases for each fluid, electrolyte and acid-base disorder are discussed, along with board-type questions with explanations to increase the knowledge for the clinician. Practical and clinically oriented, this book is a handy reference for practicing physicians, students, residents and fellows. End-stage renal disease is a devastating diagnosis to the patient, family and their care provider. 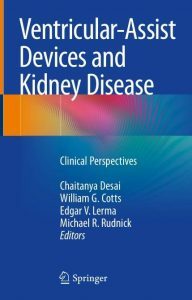 This book covers all aspects of chronic kidney disease from a general description to its psychological impact on the adolescent and lastly its progression to end-stage and dialysis. It details the important aspects of the patient’s journey from diagnosis to their final destination including transplant and discussion of the medications used. 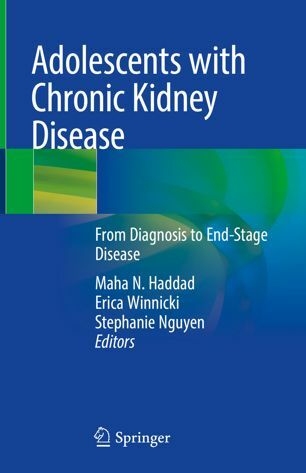 It includes chapters on important etiologies of chronic kidney disease in adolescence, addressing the particular challenges a provider may be faced with in caring for this age group, and finally transition of their care to adult care providers. 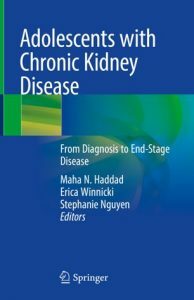 Written by experts in the field of pediatrics and nephrology Adolescents with Chronic Kidney Disease is the definitive resource in diagnosing and transitioning patients with chronic kidney disease. 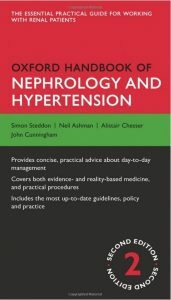 Fully revised and expanded for its second edition, the Oxford Handbook of Nephrology and Hypertension provides clear, concise information and practical guidance on the day-to-day management of patients with renal disease. It is the essential resource for all those working with renal patients, including specialist trainees in nephrology, foundation doctors, renal nurses and general practitioners. A vital practical guide for those on the wards, and a valuable resource for all those studying for exams, this is the must-have handbook of renal medicine. 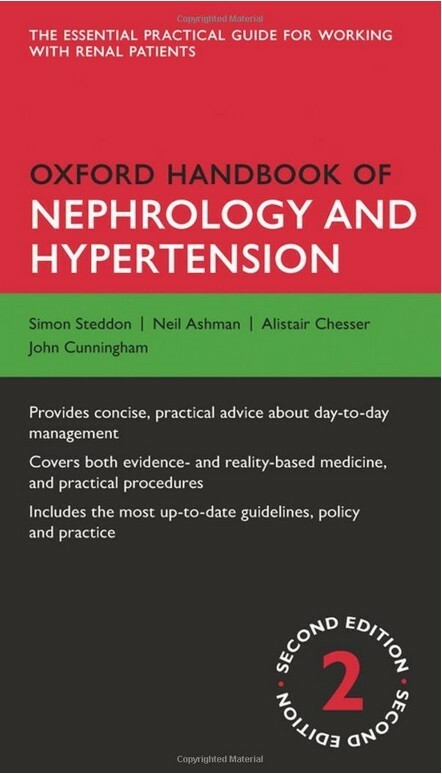 Based on the Oxford Textbook of Clinical Nephrology and companion to the Oxford Handbook of Dialysis, this handbook provides vital clinical knowledge on the full breadth of renal care. The chapters on AKI and CKD have been significantly expanded to represent their enhanced primacy in both primary and secondary care. The recent shift in understanding from acute renal failure to AKI has led to fast-paced change, and this handbook has been specifically revised to ensure the reader is up-to-the-minute in this vital area of renal care. Renal transplantation has also greatly increased in volume and complexity in recent years and a full chapter has been given to this important area, which has been thoroughly updated and greatly expanded. Comprehensive, easy-to-use, and concise, with a strong focus on practical advice, and detailed guidance on everything from common conditions to complex clinical care, this handbook ensures that the reader always has the information they need at their fingertips. 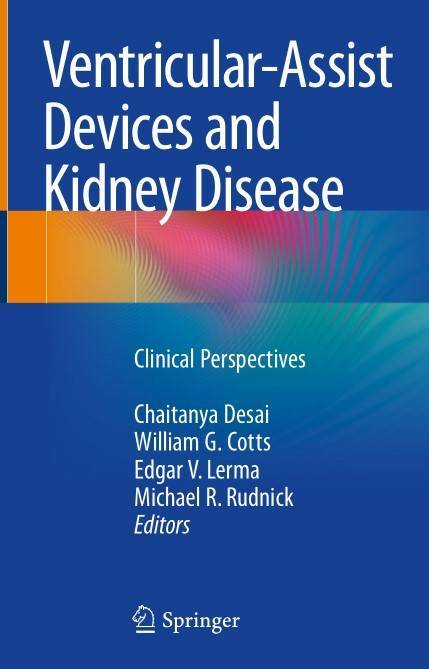 This text serves as a convenient one-stop resource on the pathogenesis, diagnosis and treatment of kidney diseases in context of advanced heart failure and presence of ventricular assist devices. Advances in managing heart failure, evidence-based practices and therapies are covered, along with the management of this unique and complex subset of patients. The book also provides insights into combined heart and kidney transplantation. Authored by leaders in nephrology, cardiology and transplantation, this book fills a critical knowledge gap in understanding and treating patients with acute or chronic dysfunction of the heart and kidneys and how one induces dysfunction in the other organ. This comprehensive guide covers the causes, characteristics, and presentations of acute kidney injury (AKI), as well as prevention and treatment. The first part of the book features chapters on the epidemiology and diagnosis of AKI. This is followed by sections on pathophysiology, clinical syndromes and patient management. Authored by leading clinicians, epidemiologists, basic scientists, and clinical trialists, this book captures the latest evidence and best practices for treating patients with AKI. 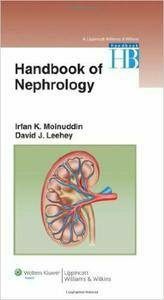 “The Handbook of Nephrology” offers an analytical yet understandable overview of nephrology – with an emphasis on principles and pathophysiology. Written in a clear, outline format, this handbook provides learning strategies and content not found in other books. This pocket-sized book offers medical students, interns, and residents a concise introduction to the field. Primary care physicians, internists, surgeons, nurse practitioners, pharmacists, and physician assistants will also find this book useful. 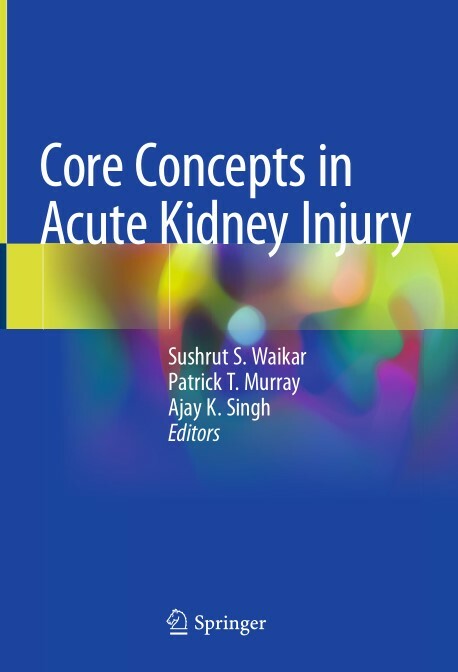 Features: small enough to fit into a coat pocket; a helpful teaching aid to nephrology fellows and faculty; includes tables of commonly used information – eliminating the need for memorization; and, patient cases at end of each chapter reinforce the concepts. 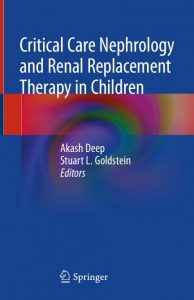 This book represents an invaluable resource for professionals for the diagnosis and treatment of acute kidney injury (AKI) in children and how to select and deliver the appropriate form of renal replacement therapy (RRT). Experts from all over the globe have come together to share their wide experience in the field of Critical Care Nephrology in children. Paediatric critical care nephrology is a complex and highly specialised field, presenting challenges and management strategies that are often quite distinct from those seen in adult practice. Therefore, it is high time to address all the topics in the field of critical care nephrology in children in a unique book which is the first of its kind. This book covers the basics as well as advances in the field of Critical Care Nephrology. Each chapter is dedicated to practical aspects of a particular topic elucidating various management decision points. Each chapter is also accompanied with algorithms, figures and protocols in tabulated format. Information on how to manage specific conditions are contextualized with relevant background anatomy, physiology and biochemistry and practical examples. At the end of the chapter, there are key learning points. 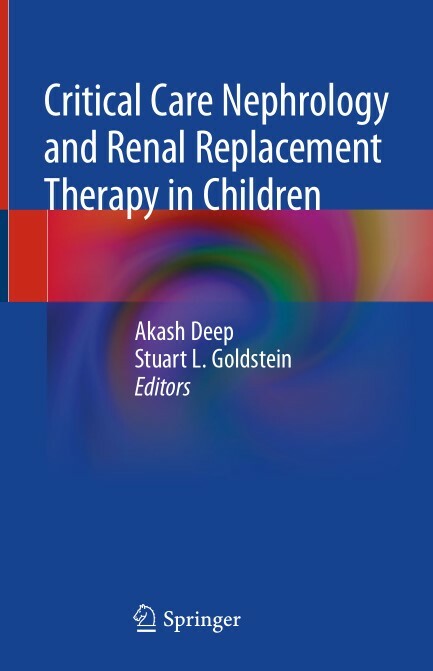 Paediatricians, nephrologists and paediatric intensivists, as well as paediatric critical care and nephrology nurses in all countries will find this book an invaluable reference text. 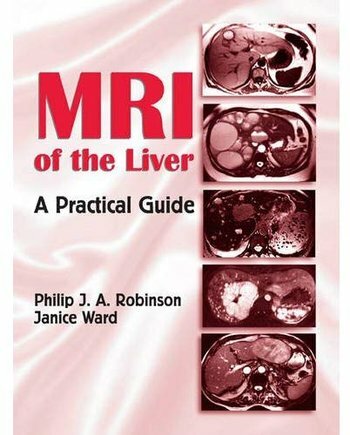 With 2300 radiological images dispersed throughout the text, this source provides an expansive armamentarium of case studies and examples showcasing both common and uncommon liver pathologies. Serving as an unparalleled how-to source for the investigation of liver disease by MRI, this guide demonstrates key MRI techniques currently utilized in clinical practice, as well as explains the choice of acquisition sequences, specific parameters, and the use of contrast media for each application. Vets in small animal practice frequently see cases involving bladder and kidney disorders. This new edition of the popular manual expands on the conditions covered in the second edition; common problems are assessed and the various treatment options considered. Guidance on long-term management of chronic conditions has also been expanded and extensively revised. 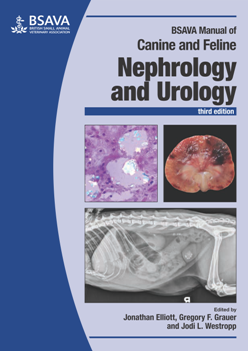 This edition has an increased focus on diagnostic techniques for chronic kidney disease and incontinence, with chapters covering the management of urinary incontinence and glomerulopathies and a new chapter on kidney injury. The manual also features case examples. 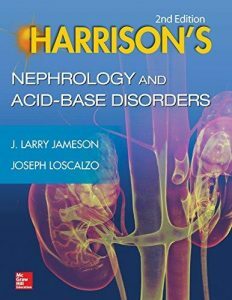 Featuring a superb compilation of chapters related to kidney function that appear in Harrison’s Principles of Internal Medicine, Eighteenth Edition, this concise, full-color clinical companion delivers the latest knowledge in the field backed by the scientific rigor and authority that have defined Harrison’s. You will find content from renowned editors and contributors in a carry-anywhere presentation that is ideal for the classroom, clinic, ward, or exam/certification preparation.